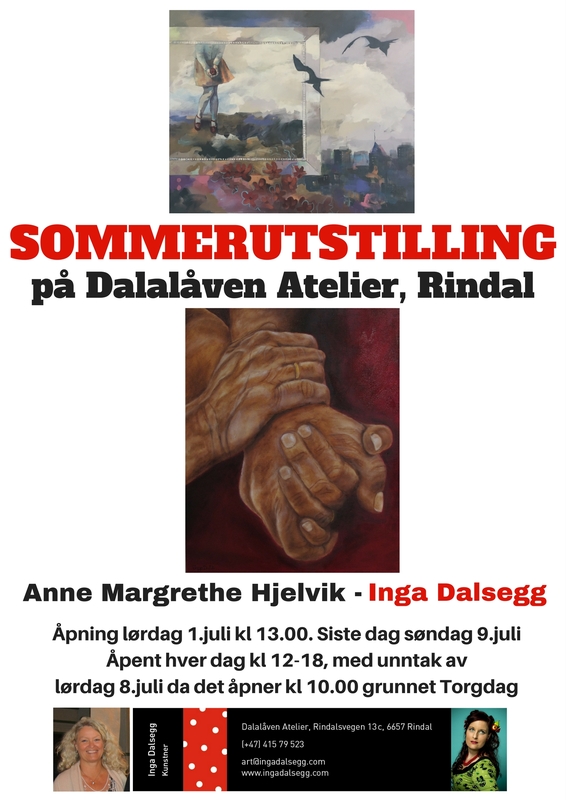 I have invited the artist Anne Margrethe Hjelvik to this years Summer Exhibition here at my art studio during the local Cultural Week. Anne lives in Rygge, but she is originally from Molde. She works with acrylic paints, her palette covers all ranges of colours and shades, from the lightest shades to the brightest most vibrant colours. She paints landscapes of the soul but gets a lot of inspiration from the landscape on the coast here in Norway. As always my own oil paintings on canvas and papyrus, my drawings and prints will also be exhibited alongside the ones of Hjelvik. I believe this years Summer Exhibtion will have something for everyones taste, – you’re all welcome!